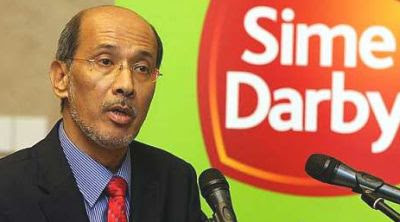 KUALA LUMPUR: Sime Darby Bhd is open to increasing its stake and making a general offer (GO) for Eastern & Oriental Bhd (E&O) shares at the right time, having recently purchased a 30% stake in the latter at RM2.30 per share, said its president and group chief executive Datuk Mohd Bakke Salleh. Bakke: Sime is comfortable with its stake and purchase price for E&O shares. Bakke told StarBizWeek that Sime Darby was comfortable with its stake and purchase price of E&O shares, adding that it was the logical step for Sime Darby to take up a 30% block first, given that E&O was a listed company and it would not be able to carry out a due diligence or feasibility study on E&O. Thus, its entry into the company with a 30% stake and the signing of a three-year collaboration agreement allowed Sime Darby to get a feel of E&O's operations and evaluate the dynamics of the working relationship, he added. “At an appropriate time, we will consider a GO. It could happen sooner or later but that will be a business call,” he said in an interview yesterday. When asked if a GO was ever on the cards when the deal was being discussed between Sime Darby and the three vendors, Bakke said that was never a consideration. “Otherwise, we would have bought the three vendors' total stake. Our intention was to have a stake of below 33% (which would then trigger a mandatory general offer),” he said. Sime Darby announced on Aug 28 that it would buy 273 million shares and 60 million irredeemable convertible secured loan stocks, or a 30% stake, for a total of RM766mil. The RM2.30 offer price represented a 60% premium to E&O's then market price. The vendors of the block are E&O managing director and founding member Datuk Tham Ka Hon, Tan Sri Wan Azmi Wan Hamzah and Singapore-listed GK Goh Holdings Ltd. Post-acquisition, the trio will collectively own 11.5% of E&O. Bakke stressed that Sime Darby was comfortable with its offer price of RM2.30, which was a 60% premium to market price, as Sime Darby was going in as a long-term investor. Aside from this, many deals have been done at a premium to market price and shareholders have been rewarded down the line due to the value creation in the company, he added. He denied that there was any pressure on Sime Darby to do the deal. “By taking a stake, we are looking at working with a company to create synergistic benefits and value in our investment. The issue of price is (essentially) between both parties,” he added. Firm discussions over the deal were held two weeks before Hari Raya, after deal adviser CIMB Investment Bank Bhd informed interested parties that the three vendors were looking to pare down their stakes. The initial asking price was RM2.50 per share. Bakke said the strategic stake in E&O would allow Sime Darby to expand its property play beyond the Klang Valley and move into high-end property products. Meanwhile, Bernama reported that Sime Darby had completed the proposed acquisition of a 30% stake in E&O. In a filing with Bursa Malaysia, Sime Darby said the completion process was implemented yesterday with settlement due on Sept 14. Kuala Lumpur: The country's fascination with shopping malls have turned these properties into highly sought-after assets. So far this year, the number of deals involving malls or retail assets has reached a record and there is a possibility that more could be announced this year, industry experts say. 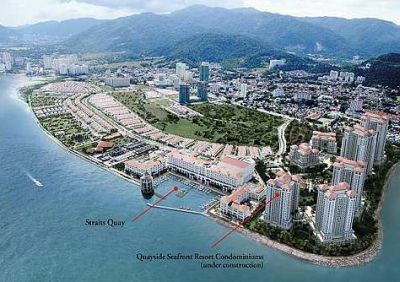 At least nine deals valued at over RM2 billion have been reported in the first nine months of the year, stretching from the northern state of Penang to Johor in the south and from the west of Klang Valley to the eastern state of Pahang. Improved consumer spending and liberalisation of the market has helped spur interest in retail assets. As the global economic recovery continues to be shaky, Malaysia has turned to domestic demand to boost its economy, chief economist at Bank Islam Azrul Azwar Ahmad Tajudin said. "Malaysian consumers have proven to be rather resilient even during times of crisis. During the 2009 recession, the economy contracted by 1.7 per cent but private consumption was still in positive territory," he added. In year 2000, private consumption or consumer spending accounted for 43.8 per cent of the gross domestic product (GDP) while in 2010 the number surged to 53.3 per cent of GDP. 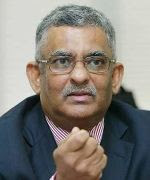 Azrul reckons private consumption will grow further to 54 per cent in 2011 and 54.6 per cent in 2012. Malaysia Retailers Association has projected retail sales to grow 6 per cent this year, probably faster than the broader economic expansion seen at 5-6 per cent. CB Richard Ellis (CBRE) Malaysia's managing director Allan Soo expects a few more deals this year. "REITs (real estate investment trusts) tend to look for both yield accretion and steady income streams. Retail assets here have a great accretion opportunity at the moment. "Passing yields at acquisitions are mostly at 7 per cent but for trophy assets this may be pressured down to below 6 per cent. The pressure on yields results in higher valuations, so on a per sq ft basis, malls are now seeing better valuation than about five years ago," Soo said. At the same time, higher valuations have triggered previously less willing owners to part with their assets. Another major factor was Malaysia's decision to scrap a rule that required foreign investors to have a 30 per cent Bumiputera partner. In addition, the Securities Commission's endorsement of REITs as an investment alternative have also helped. In January this year, CapitaMalls Malaysia Trusts (CMMT) said it would be buying The Gurney Plaza extension in Penang for RM215 million and in June it announced that it would be buying East Coast Mall for RM310 million. 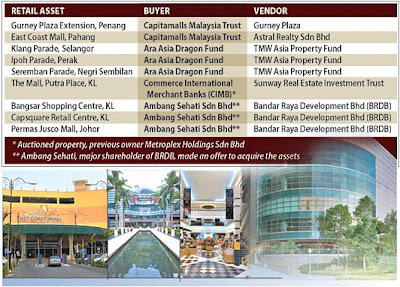 In May, ARA Asia Dragon Fund won the bid for three shopping complexes - Klang Parade in Selangor, Ipoh Parade in Perak and Seremban Parade in Negri Sembilan. It paid some RM450 million to TMW Asia Property Fund, which had bought the malls for RM340 million in 2005. Meanwhile, Adzman Shah Mohd Ariffin, founder of Hektar Property Services Sdn Bhd agreed that for some owners, a sale is actually part of their exit strategy to cash out. 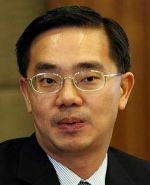 "At the same time, foreign purchasers have found that the land/ownership law is more straightforward and properties in Malaysia are still cheaper than in other countries although at lower returns at times," he said. This week, we also received news that Bandar Raya Developments Bhd (BRDB)'s major shareholder Ambang Sehati Sdn Bhd, controlled by its chairman Datuk Mohamed Moiz Jabir Mohamed Ali Moiz, had offered to buy three retail assets belonging to BRDB. The properties are The Bangsar Shopping Centre (BSC), CapSquare Retail Centre in Kuala Lumpur, and Permas Jusco Mall in Johor. BRDB is believed to have received many offers for its trophy asset - BSC. A file photo shows BDRB’s Bangsar Shopping Centre. Two big questions are yet to be answered in Bandar Raya Development Bhd's (BRDB) recently announced related-party transaction. At what price the key assets will be sold to Ambang Sehati Sdn Bhd and what management plans to do with the cash proceeds from the proposed disposal. A few days ago, it was announced that BRDB's major shareholder, Ambang Sehati, had proposed to acquire selected investment assets to “enable the group to monetise these assets and achieve a more efficient utilisation of its capital”. Ambang Sehati is the private vehicle of BRDB chairman Datuk Mohamed Moiz Jabir Mohamed Ali Moiz, who owns 18.8% of BRDB. 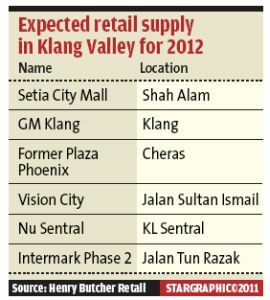 The assets essentially include the Bangsar Shopping Centre, Menara BRDB, CapSquare Retail Centre and Permas Jusco Mall. BRDB said the purchase consideration would be based on fair value that would be determined by independent valuers. BRDB has up to Sept 19 to revert with its decision. This acquisition will be paid fully by cash. According to BRDB's 2010 annual report, the carrying value for Bangsar Shopping Centre and Menara BRDB is RM660mil while Cap-Square Retail Centre and Permas Jusco Mall are valued at RM214mil and RM68mil, respectively. 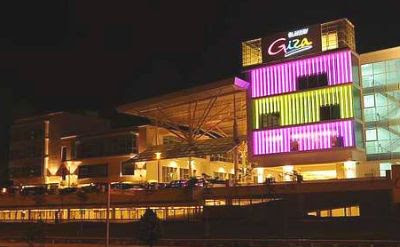 The jewel of the assets would be Bangsar Shopping Centre, which is located in the prime Bangsar area and has a net lettable area of 330,000 sq ft.
Bangsar Shopping Centre is currently almost fully occupied with average rental rates of about RM10 per sq ft. On the other hand, activity in CapSquare has much room for improvement and is relatively quiet after office hours. “Only the food and beverage (F&B) area is doing okay. The mall isn't exactly bustling with activity. Selling it off may be a good idea,” says a property analyst. He says that based on estimates, the four properties would fetch a value of about RM960mil, with Bangsar Shopping Centre accounting for 64% of that, valuing it at RM594mil (or RM1,800 per sq ft). Currently, the group has a net gearing of about 0.4 times with total borrowings in the region of RM780mil. The bulk of the debt is tied to its CapSquare development. The group could have excess cash of RM120mil to RM150mil, or 25 sen to 30 sen per share, after paying off its outstanding debt, says the analyst. He does not think rewarding shareholders with bumper dividends are right at this point. “Apart from reducing its gearing, we think the group would be better off deploying the cash for its property development, either for landbanking or to fund its future development. “BRDB is not as aggressive as other developers in developing its properties and land bank. Without Bangsar Shopping Centre, earnings may not be as stable,” he adds. 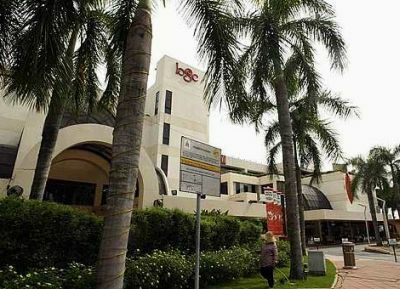 An industry observer says BRDB may be doing the right thing by disposing of Bangsar Shopping Centre and the other retail outlets. “Are the returns from these outlets actually attractive? Earnings-wise, it is only delivering some 20% to operating profits. This is low when compared to the amount of capital expenditure and debt the company is taking up. “Also, when I walk into Bangsar Shopping Centre, it is the F&B segment which is doing well. If Bangsar Shopping Centre continues to charge rentals at a premium, how will the normal retail tenants be able to survive?” asks the observer. In 2008, BRDB was reported to have invested RM250mil to upgrade Bangsar Shopping Centre. The renovation was completed in 2009. Another property analyst says much depends on what BRDB does with the cashpile it receives from the sale of the properties. “Bangsar Shopping Centre now provides stable earnings. Selling it off will only yield a one-time dividend. However, what happens after that? Management needs to use the cash proceeds wisely,” he says. Meanwhile, an AmResearch analyst says that BRDB's latest project, Verdana North Kiara condominum, has been well received, with take-up rates averaging 70%-80% for the first phase. There are two blocks with 250 units on offer at an average selling price of RM600 per sq ft. The price represents an 8% discount to the ongoing rate at its neighbouring Mont Kiara of about RM650 per sq ft. Verdana has a gross development value (GDV) of some RM600mil. BRDB has another condo development in Bangsar with a GDV of some RM900mil which will likely be launched next year. “Timing-wise, BRDB has been a little slow. It should have launched its products earlier this year when demand was extremely hot,” says the property analyst. At present, BRDB has a joint venture with Multi-Purpose Holdings Bhd (MPHB). It is centred on developing 268ha in Mimaland (Gombak), Rawang and Penang with an estimated GDV of RM4.25bil after 2012. 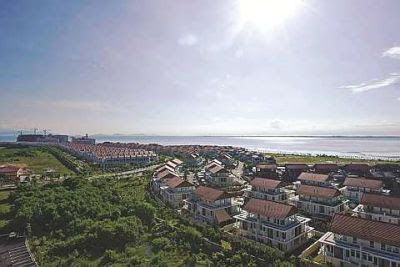 Last November, BRDB signed supplemental agreements with UEM Land Bhd, the master developer of Nusajaya, to buy a 60% stake in a special-purpose vehicle used for the development of Residential North in Puteri Harbour. The project, on a 111-acre freehold parcel, is expected to be completed in six phases over seven years. The expected GDV is RM2.3bil. For its quarter ended June 30, BRDB's revenue stood at RM198.9mil, of which RM152.05mil came from property development while RM28.25mil was generated from property investment. Operating profit derived from the two divisions was RM31.02mil and RM10.62mil, respectively. For its financial year ended Dec 31, 2010, revenue dropped 31% to RM626.21mil as the group came to the completion on a number of different projects. If it helps rein in soaring house prices, why not? A proposal by Bank Negara Malaysia to change the way mortgages are calculated is excellent. It will greatly reduce the amount the public can borrow. More than three years ago, my wife and I missed a chance to own our dream double-storey terrace house in Bangi. The price was about RM230,000 or RM217,000 after a 7 per cent rebate for Bumiputeras. That house was under the first phase of a new township, whose units were snapped up within hours. A few months later, the second phase was launched, and the units under it, with slight upgrades from the previous phase, started from well over RM300,000 and were literally sold out too within hours. I don't know exactly how the price for a more or less similar product had risen dramatically within a short span. My guts told me that it was due to a combination of the developer's reputation and quality and great demand for new houses in Bangi. Or perhaps, it's because of expectations (read speculation)? Some observers said property rides on expectations. If people expect prices to go up in a foreseeable future, many may find out that properties will forever be out of their reach. Indeed, property prices in Malaysia have never eased during the past few years. As it stands today, the affordability ratio has gone through the roof. A survey done by a publication on housing affordability saw property prices increasing from 5.9x income in 1989 to 10.9x in 2010. Left unchecked, it will soon climb to 15x your annual income. It is also reported that the household debt-to-GDP (gross domestic product) ratio in the country has reached nearly 76 per cent, which is on the high side compared with our counterparts in Southeast Asia. Hence, a proposal by Bank Negara Malaysia to change the way mortgages are calculated is excellent. It will greatly reduce the amount the public can borrow. The computation is supposed to be based on net income, and not gross income. That could reduce the amount that can be borrowed between 14 per cent and 37 per cent, according to a research house. Certain parties can sigh and whine, but such proposal is a belated move to curb rising household debt. Yes, there could be an impact on the demand for affordable properties priced between RM100,000 and RM300,000. Yes, there could be slower take-up rate from the low- and middle-income segments that will result in the long run, slower delivery of affordable housing projects. And yes, ordinary wage earners could be affected more than the high-income segment. But any good move to nip the household debt in the bud should be lauded. In other words, any good move to cool down soaring housing prices (and credit card loans) must be supported. KUALA LUMPUR: Utusan Melayu (M) Bhd's wholly-owned subsidiary Juasa Holdings Sdn Bhd has entered into a joint-venture agreement with Insan Tiara Sdn Bhd to develop a RM6.8bil land in Kuala Lumpur into a mixed commercial industrial project. Utusan said the completion of the project, consisting an eight-storey building with sub-basement and two floors of car park, shall be within four years from the delivery of vacant possession of the property with a further extension of two years.